“Aim High”. 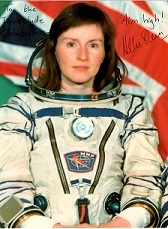 That’s that wonderful advice given to us a few years back by Britain’s first astronaut, Dr Helen Sharman. 2019 gives us all the opportunity to do just that by celebrating the 50th anniversary the most famous walk in the history of mankind - man’s first walk on the moon by Neil Armstrong, Commander of NASA's Apollo 11, on 21st July 1969. The Inverclyde Globetrotters, the heart health exercise group whose efforts inspired the creation of World Walking, have now walked 230,000 miles; equivalent to 9 laps of the world. Their goal for 2019 is to carry on until they reach the Moon and they’ve have set themselves the target of landing softly on the Moon by 21st July 2019. It took Apollo 11 just 4 days to travel to the Moon. It will have taken the Inverclyde Globetrotters over 11 years by the time they land but they will be chuffed to bits, nevertheless. Why not follow in their footsteps and celebrate the amazing achievement of NASA’s Apollo 11 mission? We've created a 13,450 mile (31 million steps) walk around all 48 contiguous states of the United States of America. The walk begins in Washington state on the western seaboard of America and ends in the nation's capital, Washington DC, on the east coast. It’s the longest route we’ve created on World Walking that doesn’t involve ‘walking’ across oceans. Why not round up friends, family or work colleagues and tackle our epic United States of America walk to celebrate what was achieved by NASA back in 1969. The Inverclyde Globetrotters are ‘in’ Tennessee right now and have their sights set firmly on finishing in DC sometime in the coming months. Like to follow them? Come on, “Aim High” and start your own ‘Lunar trek’ today.